When I was young, Mum and Dad would occasionally pull out the old projector and reels of film and we would enjoy a peek into their lives before kids….Dad’s days in the Merchant Navy, their honeymoon road trip in country NSW, relived through the flickering light of the projector. All that equipment has long since been laid to rest, and we’re lucky that all the old Super8 reels have been converted to digital format, allowing the occasional family movie night to live on. 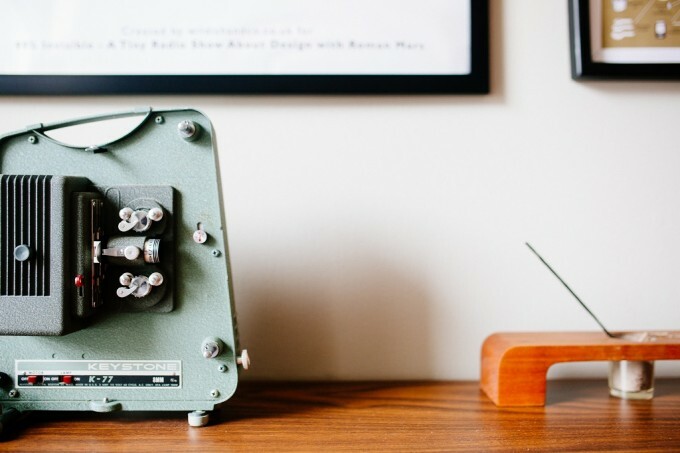 We’re often asked about the process we use to capture and convert film to DVD by clients who discover they still have the film reels, but no means of playing them. We use custom built equipment to play the film and capture the image frame-by-frame to digital format. These images can then be combined to make a continuous movie. This process eliminates the flicker associated with the original film and, as the equipment uses a LED light, there’s no risk of damage to the film from the high heat bulbs usually used in projectors. 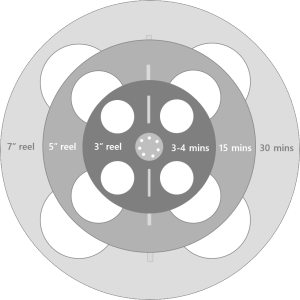 With the most common 3 inch reels containing just 3 to 4 minutes of footage, up to 45 reels can be edited together on a single DVD. Not so many opportunities to refill the popcorn on family movie night…but a bonus when it comes to reclaiming storage space at the back of the cupboard. Found some film reels tucked away? We can help you make them the star of your next family movie night. This article was posted in Format Conversion. We have used Story Weavers a few times now, their work is always of the highest quality, their customer service is exceptional and they are very affordable. Will definitely use them for all of my video stories now. Thank you for the excellent job you did on converting an old audio cassette to usb, and doing it within a very short time frame. I am so happy with the result and will recommend you to any one else I know who might need your services. My father was very excited to see the story of his life told through pictures for his 80th Birthday presentation. The DVD was a terrific buzz to share with his grandchildren and great grandchildren, and all the oldies laughed and talked the night away. It was truly perfect - I was amazed at what a great job you did with the amount of material I provided. My father was thrilled with his gift - we all were. I couldn't have asked for more. Ready to get started? Tell us a bit about what you’re looking for and we’ll put some ideas and prices together for you. Or simply call us on +61-7-3822 7558 to talk it through. How many photos would you like to include? Do you have video footage you would like to include?